I am a simple crochet kind of girl! There’s something about cute and easy projects that make me extra excited…so much so that I tell everyone I meet about it…ha! 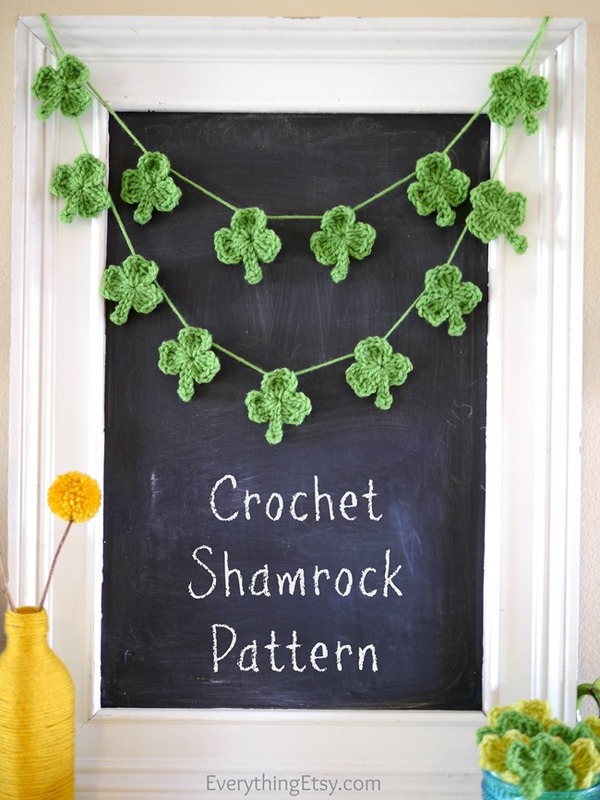 By now all of my family members know about my little crochet shamrocks that I used to create a pretty banner. Now I have to share it with you! 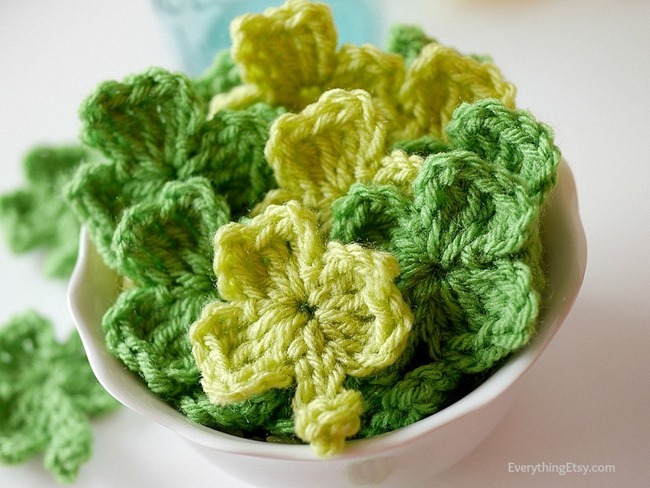 This is a simple crochet shamrock pattern. Make lots of them and share. Please don’t be afraid if you are just learning to crochet…this is the perfect project for you! 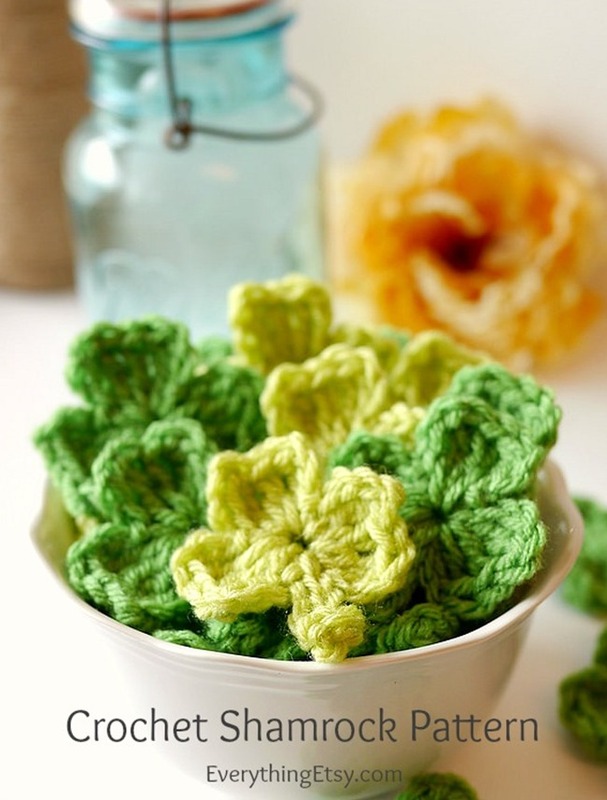 Create the sweetest little shamrocks in minutes! All you need is green yarn, a size H crochet hook and scissors. Don’t you love the simplicity of it??? It’s a “take it with you anywhere” kind of project. Just awesome! I’m going to just write this out like I would say it…I’m not an expert and I can’t stand patterns with codes I have to look up! That completes the first part of your shamrock. Keep working into the first stitch unless I say differently. That’s the second part of your shamrock…yay! You’re almost finished…now we’ll add a little stem. Double crochet into the second from the last stitch you just made. This will be the fatter part of your stem. 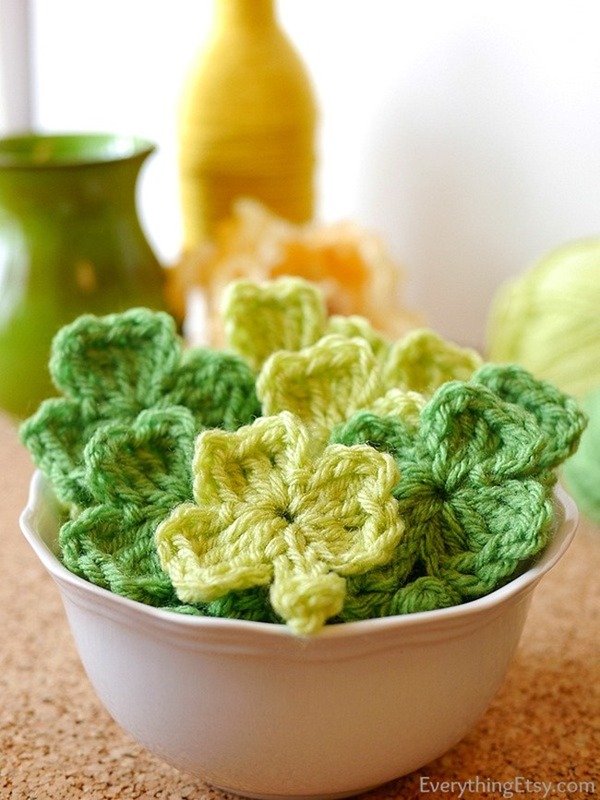 Cut and pull the leftover yarn to the back of your shamrock where you can tie a knot. Just string them together with yarn to create a St. Patrick’s Day banner. I love this! 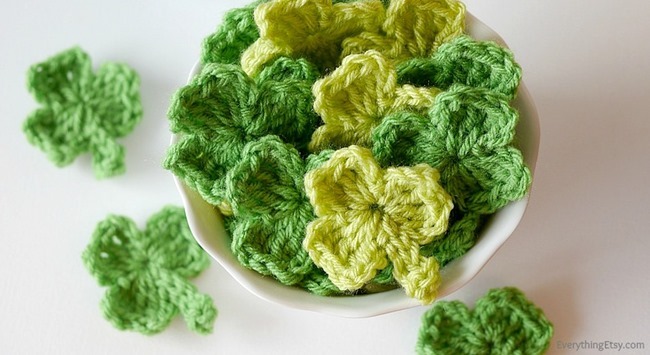 There you have it…now you know how to create a bunch of little shamrocks for yourself. I have a little bowl of shamrocks on the table for guest to take with them. You can quickly add a safety pin to the back and wear them anywhere. Too fun! Add them to cards, top off a gift or string them up to hang from the ceiling…oh, the possibilities!! 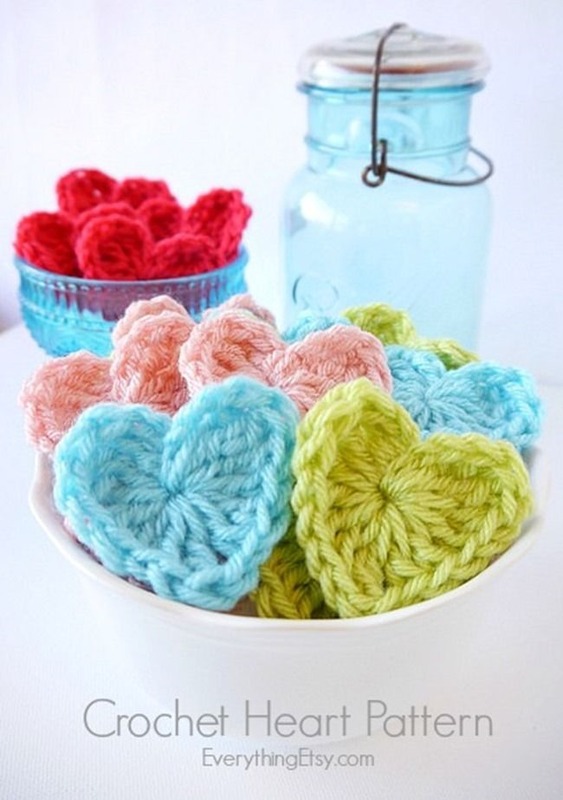 If you’re looking for another super simple project, check out my crochet heart pattern. I keep it WAY simple around here…but, I love it that way! Please ask me any questions in the comments and I’ll try to help you out. I hope you enjoy this shamrock pattern! 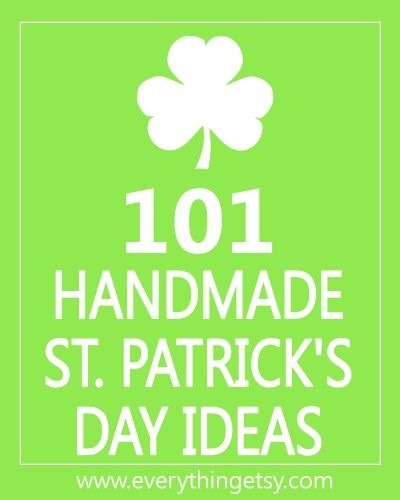 —Check out this post of 101 St. Patrick’s Day Tutorials…Woot! You will find something you HAVE to make on this list! Don’t miss out on this fun coloring pages for adults and kids! 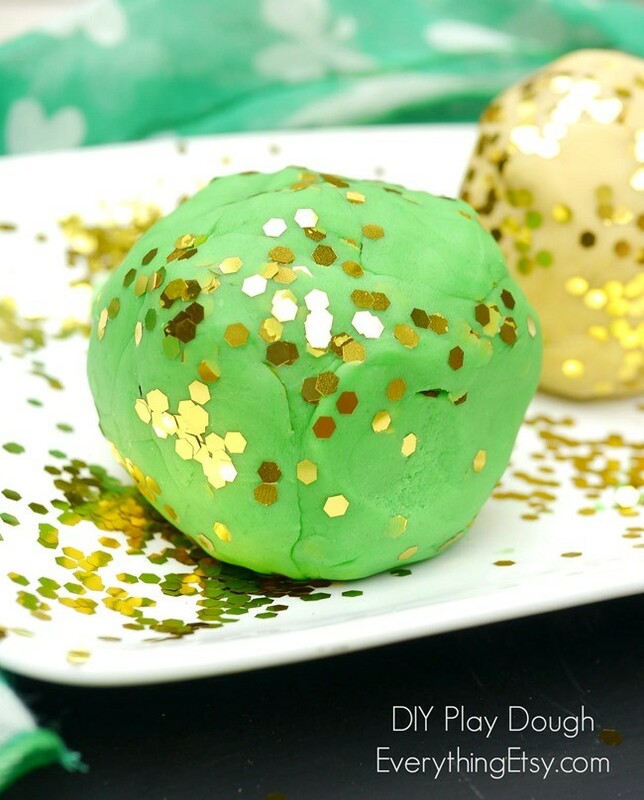 Homemade play dough smells and feels amazing…get the simple no-cook recipe right here. Great tutorial – being new to crochet I find it much easier to get the pattern in my head by watching a video. Thank you for this brilliant pattern. When I make them I will post and link back to you if that is ok.
Love your tutorials on crochet! I used your hearts for Valentines Day! Now these! Super easy to make and the pattern is super easy to understand!! Thanks!! Can’t wait for an Easter!! Hi Kim – I ran across this post via Pinterest and loved the shamrock banner! I included it in a little roundup of St. Patrick’s day crafts on my blog last weekend. Can’t wait to make one of my own! I have to try this out! Many, Many Thanks for literally spelling out the whole pattern, instead of using codes. It’s very helpful for me as a beginner who is still learning these things. I love the little shamrocks and how easy the instructions are!! But I just want to verify that when you say “stitch”, you mean chain, correct? So, triple crochet in the very first “stitch” means the first “chain” of the chain 4?